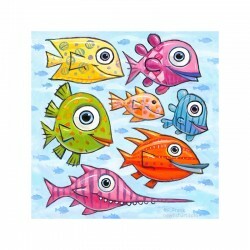 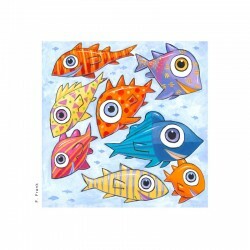 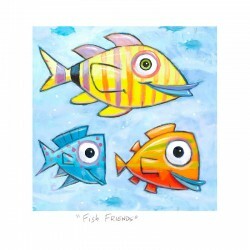 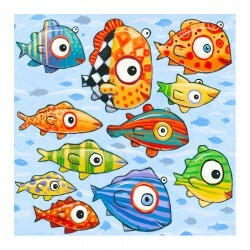 Giclée Print on Canvas: "Happy Fish in the South Sea"
Frame size: 9 x 9 inches / 23 x 23 cm. 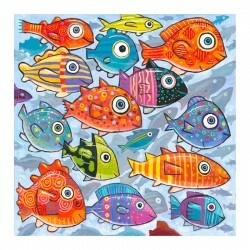 Picture size: 6 x 6 inches / 15 x 15 cm There are 6 products. 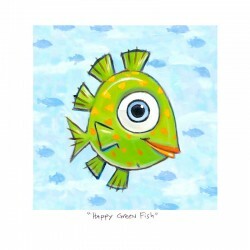 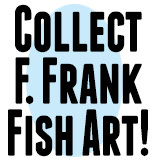 3D Graphic: "Happy Colorful Fish"
3D Graphic: "Fish Swimming West"
3D Graphic: "Happy Green Fish"